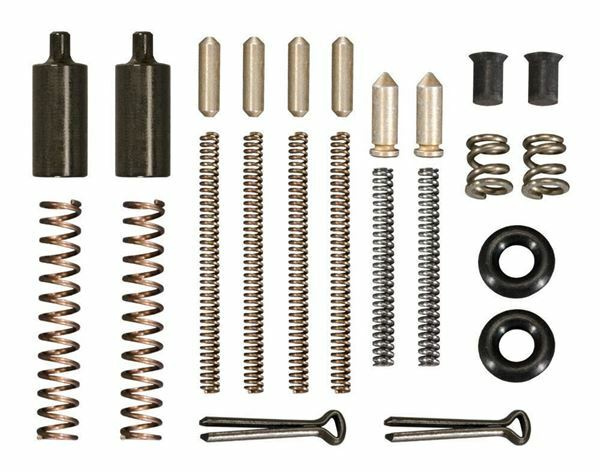 Most Wanted Parts Kit for AR15 / M16. Here are all those critical little parts that seem to go missing when you're working on your rifle - the ones that pop out of sight under the bench, into your tool drawer - you know what we mean! Included in the "Most Wanted Kit" are: Pivot Pin Detents (4); Pivot Pin Detent Springs (4); Safety Detents (2); Safety Detent Springs (2); Firing Pin Retaining Pins (2); Buffer Detents (2); Buffer Detent Springs (2); Extractor Springs (2); Extractor Spring Inserts (2); Extractor O-Rings (2). With this Kit, you'll never be troubled by the loss of "Most Wanted Parts" again!